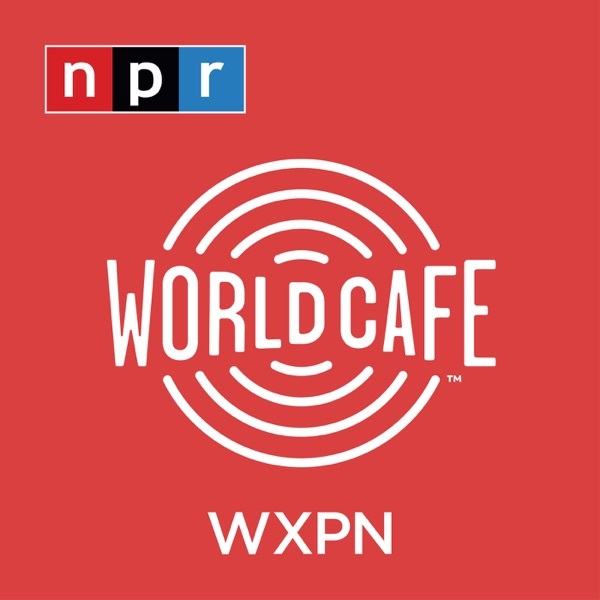 World Cafe Words and Music from WXPN | Listen Free on Castbox. Twenty years into his career, it's safe to say Josh Ritter is a master songwriter and musician. But while making his latest album, 'Fever Breaks', he felt nervous. Ritter had been making music with generally the same small group of people, The Royal City Band, for most of his career. But this time, he decided to switch it up and have his friend and fellow songwriter Jason Isbell produce the new record. Isbell brought his band the 400 Unit on board, and they headed to the legendary RCA Studio A. That's when the nerves really hit. But, as Ritter explains, "I realized that being afraid in this moment with my songs and nervous about where they should go and how they should is the right thing — this is what I got into this for." 'Fever Breaks' comes out April 26, but in this special session in front of a live audience, Josh Ritter performs stripped-down acoustic versions of his songs just like he did for Isbell and Amanda Shires on their Nashville porch when they were first deciding to work together. Ritter explains how they turned those sessions into the album versions we hear on 'Fever Breaks' and shares a full-circle story about his long musical relationship with Joan Baez and the beautiful, new song it led to. Plus, we talk about his family: Ritter is now a father of two, having adopted his youngest daughter through Wide Horizons for Children. Glen Hansard has a new album, but not the album he initially intended on making. Glen wrote much of the album while staying at a monastery in Paris. The record, titled 'This Wild Willing', was initially supposed to be a simple, acoustic album. But, that changed after a chance jam session with Persian musicians. "It just completely opened my mind to a new thought process," Glen says. "And I asked them instinctively would they be interested in coming to the studio with me to do some improvising and they agreed and I called David, the producer, the next day and I said 'Look, the record is going to take a turn." It did. Glen will also talk about honoring Joni Mitchell, covering Van the Man, and recording with Steve Albini. Rising star Nilüfer Yanya caught so much well-deserved buzz with her first two EPs, it was difficult for her to carve out time to write a full-length debut album. But the Londoner has done it, and her debut, 'Miss Universe', out now, shows off the catchy melodies and grounded guitar playing that first earned Yanya attention, not to mention her unique and stunning voice. Yanya has been writing songs since she was a kid and she explains how an early guitar teacher helped her find the courage to actually sing the songs she was writing herself. She also performs live in-studio with her band. Cautious Clay makes magnetic and cool R&B that features his honeyed voice and his skills on the saxophone. The first instrument he picked up as a kid was the flute, all thanks to a case of mistaken instrument identity that involves the movie "Aladdin". In this session, Joshua Karpeh, who records as Cautious Clay, shares that story, reflects on his decision to leave real estate to pursue music full time, and explains how being raised by a single mom who made her own bold career change when he was growing up inspired Karpeh to take the leap. We talk about some of the exciting opportunities Karpeh has scored, including working with John Mayer out in LA and have his music featured in Issa Rae's HBO show "Insecure". And he delights with live performances from his latest EP, "Table of Context". Dried animal bones, thrift store cutlery, gas cans, baby shoes and yes, a suitcase. Matt Lorenz, who records as The Suitcase Junket, has turned all these found objects and more into a one-man band setup unlike anything we've ever seen. In this unusual session, Lorenz explains how it all works and performs songs from his album, 'Mean Dog Trampoline', which comes out April 5 and features lyrics just as creative and unique as the instruments he plays. Lorenz also shares how he pulls songs out of a once-moldy guitar that he rescued from a dumpster and gives us a lesson in the ancient technique of throat singing, which allows the vocalist to make more than one pitch at a time. Jenny Lewis' new album 'On the Line' is an amazing feat of songwriting. She paints vivid and memorable pictures, from guardian angels with stethoscopes to a narcoleptic poet, Paxil to poppies. The rewards grow bigger with every listen, and a detail that made you laugh the first time might make you tearful the next. Her hooks are surprising and unforgettable, her vocals are warm and it's all absolutely epic without being overdone. Lewis began writing these songs after a significant breakup with her longtime partner. And she continued working on them through the death of her mother, whose struggles with addiction made their relationship complicated. She calls the song "Little White Dove," written about her time with her mother in the hospital, a "beautiful, funky way to grieve." Here, Jenny Lewis shares the stories of how Ringo Starr ended up playing on a couple of songs for 'On the Line', working with producers Beck and Ryan Adams and responding to questions about Adams since allegations of the artist harassing other women became public. Plus, she performs powerful live renditions of some of her new songs. Jenny Lewis Finds A "Beautiful Funky Way To Grieve"
Karl Denson has one of the coolest side gigs in the world. In 2015, he took over for Bobby Keys as the saxophonist for The Rolling Stones. In his day job however, he's the leader of Karl Denson's Tiny Universe, a fusion of funk, jazz, soul, and rock. He also co-founded the Greyboy Allstars and got his start on 'Let Love Rule' from Lenny Kravitz. Karl is here on World Cafe to talk about his latest album 'Gnomes and Badgers', an allegory for...well you'll find out. When Lucie Silvas first visited Nashville after a decade of navigating the music industry on her own in the United Kingdom, her first reaction was: "I feel like someone is playing trick on me or something". Lucie couldn't believe the tight-knit community of supportive songwriters she found, and what she intended as a short stay turned into her new home. Nashville is where Lucie met her now-husband, country artist John Osborne (of Brothers Osborne), who she says saved the way she thinks about music as a career. Nashville is also where she met some of the collaborators who have co-written songs on her latest album, E.G.O., including Natalie Hemby, Daniel Tashian and Tenille Townes. The record is a collage of rock, soul, country, and Motown that's full of attitude and heart. You can hear live versions of some of those songs in our session. As a musician who has spent two decades on the road, Menno Versteeg of Hollerado understands the particular challenges of caring for your mental health when you make your living as an artist. There are the high-highs and low-lows of performing, being surrounded by all sorts of substances, having to deal with lots of pressure and little sleep. In fact, a number of European studies have shown that musicians are about three times more likely than the general population to struggle with mental health issues. And on top of that, being a musician is not a traditional job where insurance plans or health care resources are readily available. Versteeg is out to change that, at least on his own indie record label, Royal Mountain Records, based in Toronto. Versteeg recently announced that all bands on his label will have access to a $1500 mental health fund, no questions asked. He dropped by World Cafe to explain where the idea came from and why he feels that caring for artists' mental health is, at least in part, a record label's responsibility. Plus, Versteeg introduces us to a couple of Royal Mountain acts he's excited about. This past fall, Edie Brickell and New Bohemians released an explosively joyful album called 'Rocket'. It had been 30 years since the band's 1988 smash hit single "What I Am" made them an overnight sensations. Shortly after that brush with fame, Edie put the band on the back-burner and stopped touring to pursue another dream she had — raising a family. She married Paul Simon, they had children and as she told me "I feel like it's a great privilege to be with your kids". When it felt right, Edie kept up with music. She made her own solo albums, she teamed up with Steve Martin to for some bluegrass musical adventure that included co-writing a Broadway musical, and she worked a bit with New Bohemians including making the group's 2006 album, 'Stranger Things'. Edie shares her story and the values that guided her choices along the way. She also talks songwriting shop, and reveals how she and Paul Simon manage to separate their home lives and creative lives. Great interview for this Journey fan!